Whole Athlete was founded by experienced riders and racers with decades of first-hand knowledge in many areas of cycling. We understand the considerations and details that go into creating the perfect bike for the specific type of riding you do. Fit and Geometry – A custom bike is only as good as how well it fits you. Many people invest in a custom bike because they look great and seem to last forever. You want something that feels as great as it looks and still fits you like a glove. Handling Characteristics – This reflects the style of riding you do. Do you prefer something snappy and race-like or more relaxed and stable-feeling? Or maybe something in between? 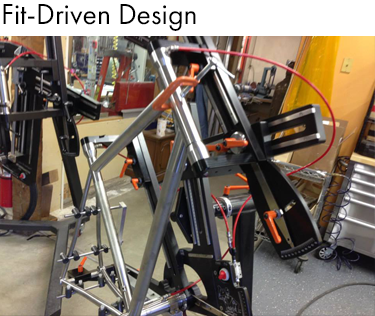 Frame geometry, tubing shape, and material selection all determine handling characteristics. 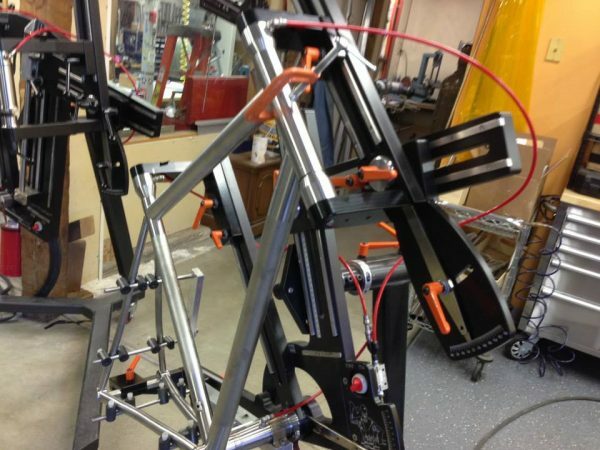 Stiffness and Compliance – Related to handling characteristics, this element of building a custom bike is just as important as geometry and frame material. Do you want straight-gauge or triple-butted tubing? Carbon or carbon-Ti mix? Or for you is steel the real deal? 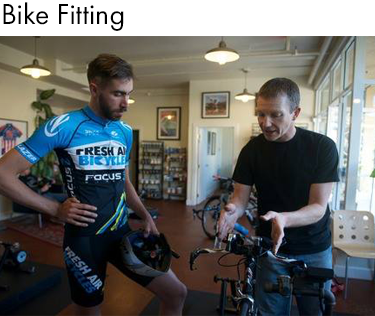 Many important selections go into the ride quality of your bike. 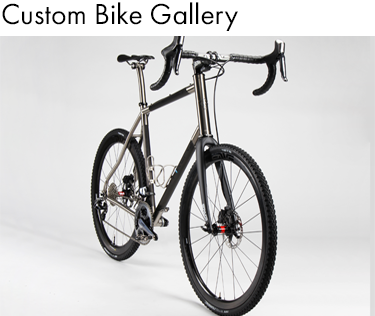 Aesthetics – When building a custom bike, there are many different aesthetic choices to make. 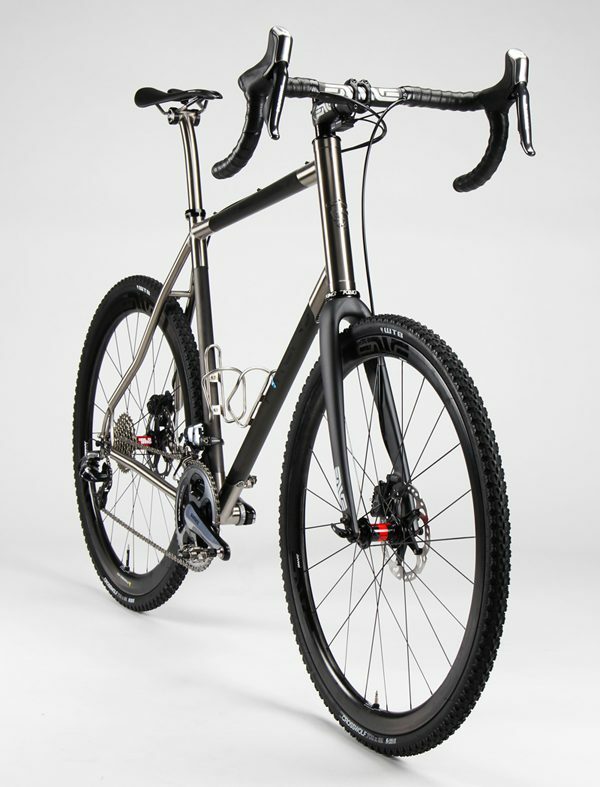 Do you want custom paint or the understated elegance of finished titanium? Colored graphics and components to match? It can be both fun and daunting creating something from scratch. We can help you through the process each step of the way. Component and Wheel Selection – We’ve spent our formative cycling years working in bike shops, riding, racing and even touring bikes. Ever since then, we’ve stayed on top of all the latest industry trends (once a bike enthusiast, always a bike enthusiast). We can help you select the right components (electronic or mechanical? ); the best gearing for the riding you do (single or double chain ring? ); the right saddle and handlebars (we have dozens in-house to try); the perfect wheels with the optimal weight, durability and handling characteristics.